a story not told is lost forever. 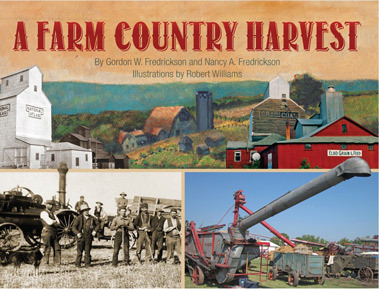 Click on each farm heritage book to see sample pages or to order. 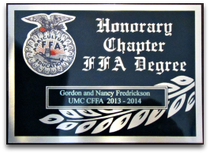 Honorary Chapter FFA Degree from the University of Minnesota Crookston Collegiate FFA for preserving Farm Heritage and promoting Agricultural Literacy through literature. Article about Gordon in the Redwood Falls Gazette. Click HERE. by Mary Ann Grossman in the St. Paul Pioneer Press, Sunday, December 20, 2015. Click HERE. Article about Gordon in the Pioneer Press. Click HERE. Review by Jeri L. Dobrowski in Cowboy Jam Session: Western Culture News & Reviews. Click HERE. Article in St. Paul Pioneer Press, "A former farm kid shares his stories of growing up in Lakeville." Click HERE. for any of our Collector Series of Farm Heritage books. Search on Amazon for all of Gordon's books. Click HERE. can just double click on the cover of the titles above and go through the on-line ordering process. To view and print the order form, just click ﻿HERE﻿. Complete the order form to discover the total. Make your check out to TWO GUYS FROM SCOTT COUNTY, INC.
Mail the form and the check to the address indicated on the form. Need a speaker for your annual meeting, banquet or school? 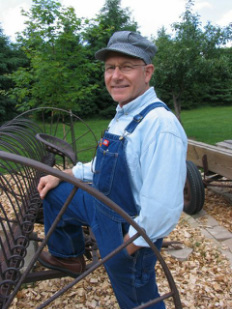 Over the past years, I've performed over 1,000 Farm Heritage Programs for over 50,000 adults and children at elementary schools, middle schools, high schools, historical societies, nursing homes, senior centers, museums, annual banquets, tractor clubs, 4-H clubs, Scouts, church groups, and other clubs and organizations. My goal is always to entertain and to teach with stories and photographs that aim to increase agricultural literacy, encourage farm pride, and preserve this country's great farm heritage. Cost is $.50 per mile round-trip mileage from my home in Lonsdale, MN to your facility plus $90.00 for the first program and $75.00 for each additional program during the day. I can do up to four programs during a day. I request that I be allowed to offer my books for sale. Click on WHAT IS AN EVENT tab above for specific details on events and then click on the EVENT tab above to schedule an event. 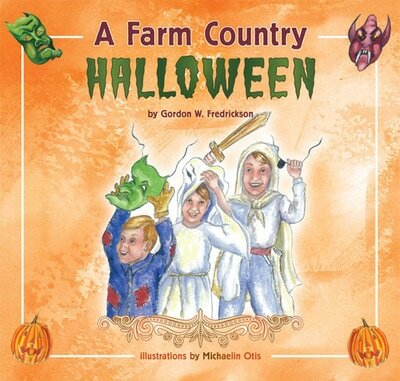 I write my books to entertain and enlighten children and adults with stories that show humor and love in the farm family but also accurately portray farm activities on a very small family farm where the family must work together to make a living. My hope is that my farm stories may also be your stories or the stories of your parents, grandparents, or great grandparents. My purpose in telling these farm stories is definitely not to glorify any so-called "Good old days." Instead, my purpose is to portray life on a small farm the way most of us remember it–full of hard work, riddled with daily sacrifice, lacking conveniences, void of vacations, and yet, somehow, satisfying and invigorating. Many remember their childhood on a farm with fondness, others with bitterness, but no one will deny that the experiences shaped their lives forever. My goal is to create a Collector Series of books about a farm family in 1950 which will become Keepsake Books to be passed on from generation to generation with the result of the books being read in 100 years or more by people as they realize, "This is what it was like to live and work on a small family farm in 1950." It is my hope that the stories in my Collector Series of books serve to enhance Agricultural Literacy by raising awareness and appreciation for agriculture and its boundless opportunities; that they serve to encourage Farm Pride by telling the stories that make people proud of their farm background; and that they serve to preserve Farm Heritage by portraying farm activities accurately, capturing the traditions in a story to be remembered and passed on. 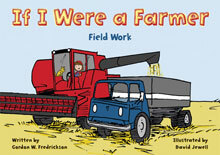 To tackle the task, I created two series of books for children and adults: Farm Country Tales and If I Were A Farmer. 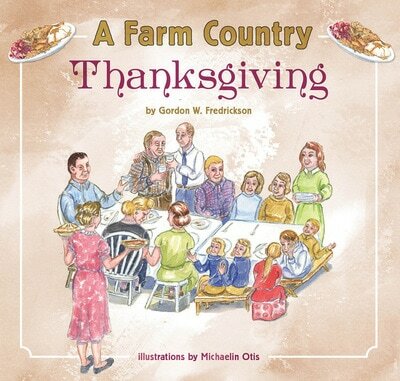 Each story in the Farm Country Tales series is an entertaining narrative rhyme, featuring original and colorful illustrations that accurately portray small town and rural life and farm equipment and activities of the times. Stories are based on actual events and offer children and adults of all ages the opportunity to read and enjoy stories that evoke memories for some and serve to inform others of the times in which their parents or grandparents or great grandparents were children. Stories feature the Carlson family members and their interactions with the farm neighborhood and the surrounding small towns during routine and special events. These stories entertain children and adults, alike. Four of the six titles in the Farm Country Tales series have 32 pages each and contain an illustrated story, but the two most recent titles, A Farm Country Harvest (184 pages) and A Farm Country Silo Filling (312 pages), are comprised mostly of non-fiction photo essays which detail the history of threshing and silo filling, respectively, with hundreds of photographs. I plan to release another of these non-fiction books in 2019, and it will be called A Farm County Haying, and it will be comprised of section on the history of haying, a section with an illustrated story about haying in 1950, and large section of haying stories and photos written and submitted by farmers, former farmers, and former farm kids. I hope both the fiction and non-fiction books help to preserve our farm heritage. 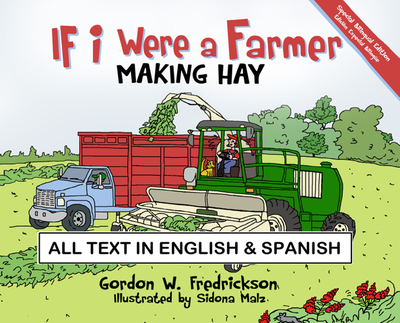 Each story in the If I Were A Farmer series features a contemporary child with a pet. The child imagines himself or herself as a farmer having an adventure in which he or she is the hero. Each page contains the child’s narration, enhanced by a full-page, colored illustration that clearly displays the action of the adventure and also places both the child and the pet into the action. 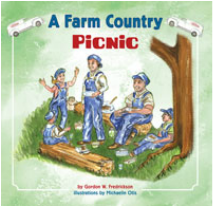 The prose is aimed at pre-school or K-3, but some farm terminology may need to be explained by an adult. Although I plan to write many other books, including novels for adults and teens, presently I have just three books that are not in either of the two series described above. Farm Country Moments: Poems, Pictures, and Memories is the first collection of my farm heritage poems to be published, and it includes twenty-nine poems followed by author's comments and forty photographs taken by my wife, Nancy. 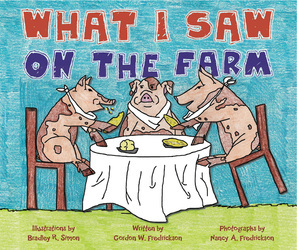 The farm poems, pictures and comments aim to educate and entertain readers of all ages. Youth will learn about the memorable moments that belonged to previous generations in a way that is relevant to their lives, and older generations will be inspired to remember long-forgotten stories of their youth. I intend to publish another book of my poetry in 2018. What I Saw on the Farm is not part of a series, nor is it inspired by actual events. Unlike the characters in my two series, the characters in What I Saw on the Farm are not limited by the reality of farm life. When these modern-day children return to school from a field trip to the farm, the principal asks them, "What did you see on the farm, children." Instead of describing what they actually saw on the farm, the kids answer with their imaginations: dogs dance, chickens practice law, and cats play baseball in a colorful farmyard romp. Each imaginative illustration is accompanied by an actual photograph of the animal as the children would have seen it on the farm. The link to reality is there, but the imagination is foremost. 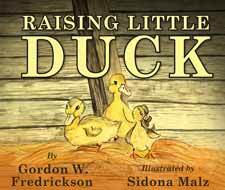 Raising Little Duck is my most recent book that is not in a series., and it is my first book that is totally biographical, where I use my name for the character in the book. The book depicts as accurately as I can remember my experience raising a duckling that was born with a life-threatening physical defect—his upper bill was curled up and prevented him from eating normally. 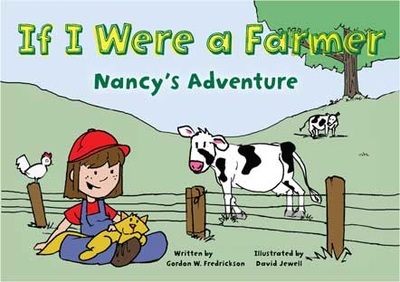 For children my stories are adventures about farm kids as told by farm kids; and for adults the stories are a nostalgic trip back to life the way it was, with all its hard work, imperfections, challenges and fun. Copyright 2010-2019 Gordon W. Fredrickson. All Rights Reserved.